A lot of ballplayers out there can throw a great knuckleball. Every pro team I’ve played for has a position player that can throw a really good one. But what separates knuckleball pitchers from pro ballplayers that can throw a good knuck is consistency. It is the ability to stand on the mound and throw 100 good knuckleballs in a row that will make you a pro. How Do I Become More Consistent? Well, it’s easy — a million reps done well. But therein lies the problem. How do you do a rep well? 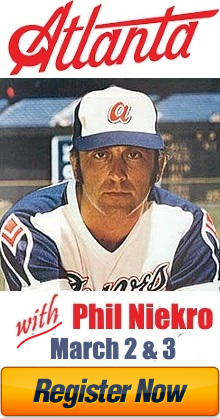 I wouldn’t have been able to break into pro baseball without the lessons I’ve learned from RA Dickey, Charlie Hough and Phil Niekro. They cleaned up my mechanics which led to more consistency. After repeating thousands of reps correctly, my consistency got better. Once I performed hundreds of thousands of reps, I got even more consistent. And so on. That’s why I’ve made the Knuckleball Nation Instructional Videos. They teach you everything I’ve learned from working with the greats of the knuckleball. And they are also full of the wisdom I’ve learned from a career in pro baseball. The videos will clean you mechanics up so that you can perform each rep correctly. That’ll put you on the path of pro-level consistency because you’ll be performing the delivery correctly; you’ll be perfecting the right things. The videos will remove any mechanical clutter from your delivery. They’ll teach you how to streamline your movements by removing bad habits. And they’ll put you on the path to MLB-worthy consistency.